1. Answer to first poll: The median size of a church in America is seventy-five (75). 2. 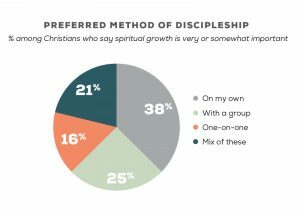 Answer to second poll: Discipleship preference is On My Own.